The Night Time Economy Alliance is a project developed and delivered by Capstone Collective for the NPBA. The Alliance is a collaboration of advocates for the growth and sustainability of the Night Time Economy in Newtown. The night time economy is a key driver of the Newtown Precinct. This precinct includes Newtown, Enmore, Erskineville and Camperdown and is well known for its night time offering for visitors and locals alike. 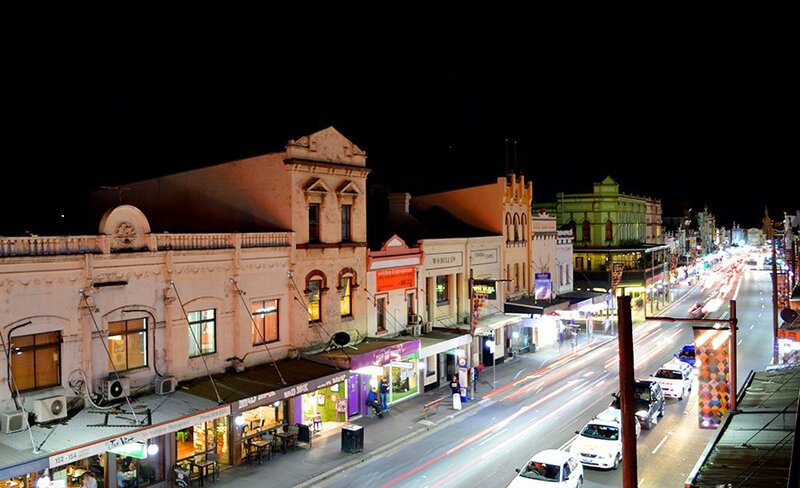 A vibrant night time economy is essential to the sustainability of the precinct and the businesses within it. Therefore, Capstone is enabling the NPBA to implement this alliance to sustain a vibrant night time economy and ensure all stakeholders work together in this effort. Late in 2016, the City of Sydney held a workshop with Mirik Milan, the ‘Night Mayor’ of Amsterdam. Mirak outlined a model of collaboration that has led to a dramatic development of their night time economy. This model is now being replicated in London, Berlin and New York. During this workshop, we realised that much of the community led advocacy that the Amsterdam model was built on, is informally in place in Newtown. More importantly, it is already achieving great results that contribute to the development of the night economy. The result we are looking to achieve through this process is to identify what makes a vibrant night time economy, how to measure it, how to report it, how to advocate for it and how to help our precincts do the same.